Dial And Electronic Thickness Gages Allow Quick, Highly Accurate Measurements For Machining, Manufacturing And Metalwork Applications. Dial And Electronic Thickness Gages are made of steel, carbide, ceramic and other high quality materials for strength and long lasting durability. Tools feature continuous reading dials with revolution counter for absolute measurement of thin materials, plastic films, and small parts. Some models supplied with fitted case for safety and storage. Available accuracies include 0.0002, 0.0008, 0.001, 0.002, 0.004 inch. Measurement ranges are between 0 and 0.05, 0.4, 0.47, 0.5, and 1 inch, or 0.01-0.787, 0.04-8, and 0.04-12 inches. Dimensions, features and specifications vary per type. Height Gages Allow For Quick, Highly Accurate Measurements In Industrial Metalwork And Machining Applications. Height Gages are made of high quality materials for strength and long lasting durability. Some models supplied with fitted cases or pouches for safety and storage. Connection cable and scriber for height gages also available. 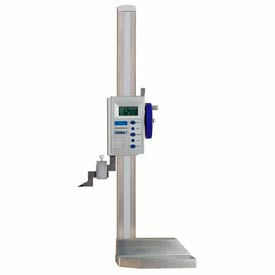 Available measurement ranges are up to 6, 12, 14, 18, 20, 24, and 40 inches. Available accuracies are 0.0001, 0.0004, 0.0015, 0.0016, 0.002, and 0.0028. Dimensions vary per model. 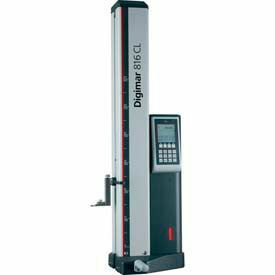 Depth Gauges Provide Precise Depth And Thickness Measurements. Inside And Outside Calipers are made of hardened steel and other high quality materials for strength and long lasting durability. Variety of brands and types available to meet particular need, application or budget requirement. Large, easy-to-read displays convert readings to both inches, factions and metric readouts. Some models supplied in fitted plastic case. 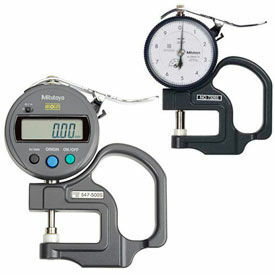 Variety of types available to meet measuring requirements. Dimensions, features, color finishes and specifications vary per type. Quantity is 1. 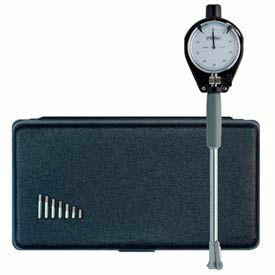 Fowler® Dial Bore Gage Sets Provide Measuring Accuracy For Applications Including Construction, Industrial, And More. 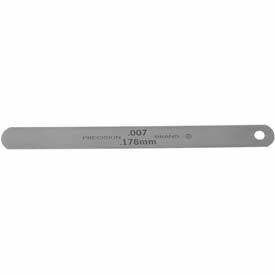 Fowler® dial bore gage sets are made of chrome plated steel for durability and corrosion resistance. Carbide anvils allow direct measurement of holes and round openings. Fitted case provides convenient gage and accessory storage. Includes chrome plated handle with insulated grip. Features an easy-to-read dial indicator. Color finish is Gray/Black. Dimensions vary per model. Fowler® Z-Height-E Gauge Offers Direct Inch & Metric Conversion For Precise Measurements. Gauge features a large, high contrast LCD display with hold feature. Offers a .0005" resolution. ABS/INC measurement. 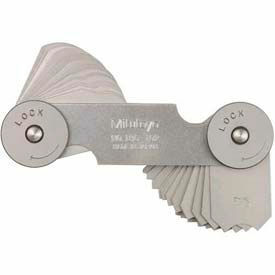 Features include floating zero, positive lock and carbide scriber. Includes molded case for storage. Pin Gage Sets Are Used For Applications Including Construction, Industrial, Commercial, And More. 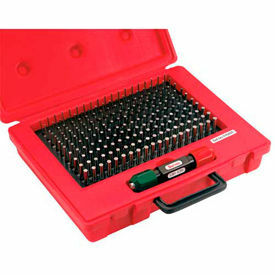 Pin gage sets are made of steel for long lasting durability and dependability. 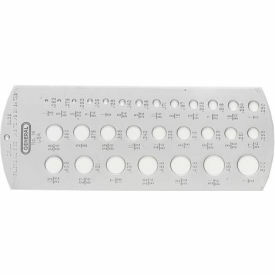 Sets are designed for gaging slots, verifying hole distances, measuring dimensions, determining locations, and more. Pins are centerless lapped with etched sizing. 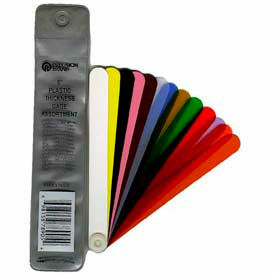 Includes color coded, fully adjustable Go/No-Go gage handle. Features high impact protective cases for content organization and protection. Inspection certificate included. Types are Minus and Plus. Package quantities range from 50 to 250. Dimensions vary per model. Telescoping Gages Allow For Quick Checking Of Inside Measurements In A Variety Of Applications. Telescoping Gages are made of hardened steel, titanium coatings, satin chrome finishes and other high quality materials for strength and long lasting durability. Variety of brands and types available to meet particular need, application or budget requirement. Allows for quick measurement of inside diameter of deep holes and width of slots. Some models supplied with fitted cases or pouches for safety and storage. Variety of types available to meet job requirements. Dimensions, features, color finishes and specifications vary per type. Quantity is 1. 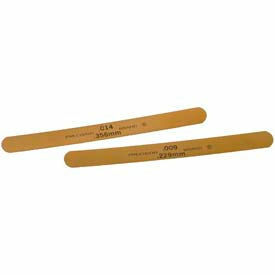 Precision Brand® Brass Thickness Gages Are Used For Computer, Mining And Electronics Industries. Precision Brand® Steel Feeler Gages Are Used For Most General Maintenance And Tool/ Die Applications. 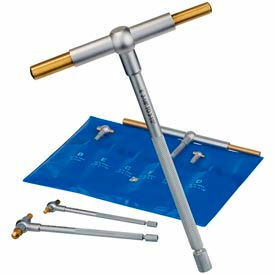 Radius Gage Sets Are Used For Use By Electricians, Welders, Engineers To Make Precision Curve Measurement Applications. 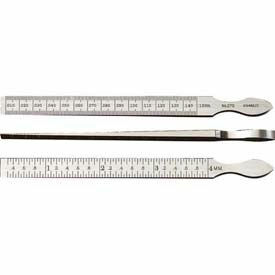 Radius Gage Sets are made of stainless steel and other high quality materials for strength and long lasting durability. Variety of brands and types available to meet particular need, application or budget requirement. Some models supplied with case or pouch for safety and storage. Types are Concave/Convex Blade Radius Gage Set and Radius Gage Set. Dimensions, leaf counts, features, color finishes and specifications vary per type. Quantity is 1. Taper Gages Are Used For Determining Hole Sizes In Dies And All Kinds Of Other Work Applications. Taper Gages are made of stainless steel, tempered steel, chrome plating and other high quality materials for strength and long lasting durability. Variety of brands and types available to meet particular need, application or budget requirement. Allows for quick, highly accurate measurements of opening, slot width, hole size and gap width. Some models supplied with fitted case or pouch for safety and storage. Variety of types available to meet job requirements. Dimensions, features, accuracies, ranges, color finishes and specifications vary per type. Quantity is 1. 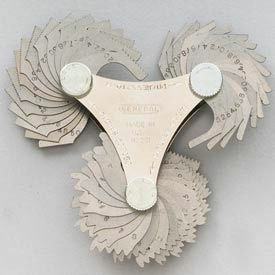 Feeler Gage Sets Are Used For Machine Shop, Automotive And Mechanical Engineering Applications. Telescoping Gages are made of hardened alloy steel, brass and other high quality materials for strength and long lasting durability. Variety of brands and types available to meet particular need, application or budget requirement. Allows for quick measurement of inside diameters. Used for use in manufacturing and maintenance operations where setting close spacing or checking extremely tight tolerances is required. Some models supplied with case for safety and storage. Variety of types available to meet job requirements. Dimensions, features, color finishes and specifications vary per type. Quantity is 1. Screw Pitch And Wire Thickness Gages Are Used For Precise Measuring In Machining And Manufacturing Applications. Screw Pitch And Wire Thickness Gages are made of steel and other high quality materials for strength and long lasting durability. Pitch gages are designed to check and set screw cutting tools for identifying pitch of most common thread forms. Thickness gages are tested and marked with thickness measurements to accurately determine the thickness of non-ferrous wires, metals and rods. Some models supplied with case or pouch for safety and storage. Gages available with 8 to 52 Straight or Tapered Leaves. Wire gages measure American Standard Wire From 0 to 36. 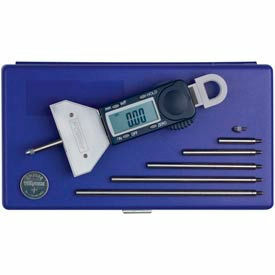 Tools available with Metric, Imperial, and Acme measurement systems. Dimensions vary per model. Drill Gages Are Used For Machining And Manufacturing Applications. Drill Gages are made of heavy duty steel for long lasting durability. Drill Gage types available are 1/16 - 1/2" Drill Gage, Drill Gage (1/16" to 1/2" x 64ths), Drill Gage (No. 1 to No. 60) and Drill Gage (No. 61 to No. 80).